Dances start at 7:00 PM and ends promptly at 9:00 PM. Admission is $3.00. Payable at the door. If school is cancelled the day of the dance, the dance is also cancelled. 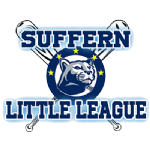 2018-2019 Suffern Police DARE Dance Schedule printable – CLICK HERE.